Aman Mann, the founder and CEO of Procurify, a cloud-based procurement platform used by tech heavyweights like Hootsuite, shares his story of hitting the pavement in the Valley to raise financing, building a remarkable team, leading from behind and his take on the state of Vancouver’s startup community. This talented CEO has been noticed by Forbes, Techcrunch, Fast Company and Venturebeat. His startup graduated from GrowLabs, in 2013 and moved from public beta to commercialization. 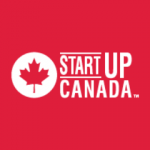 In this week’s Startup Canada Podcast, host Rivers Corbett chats with Aman about the success behind Procurify, and about the strategic steps he has taken to get where he is now. We hear what it’s like to startup a cloud-based B2B in Canada’s West coast and about some of the biggest lessons Aman learned on entrepreneurship while training at GrowLabs.